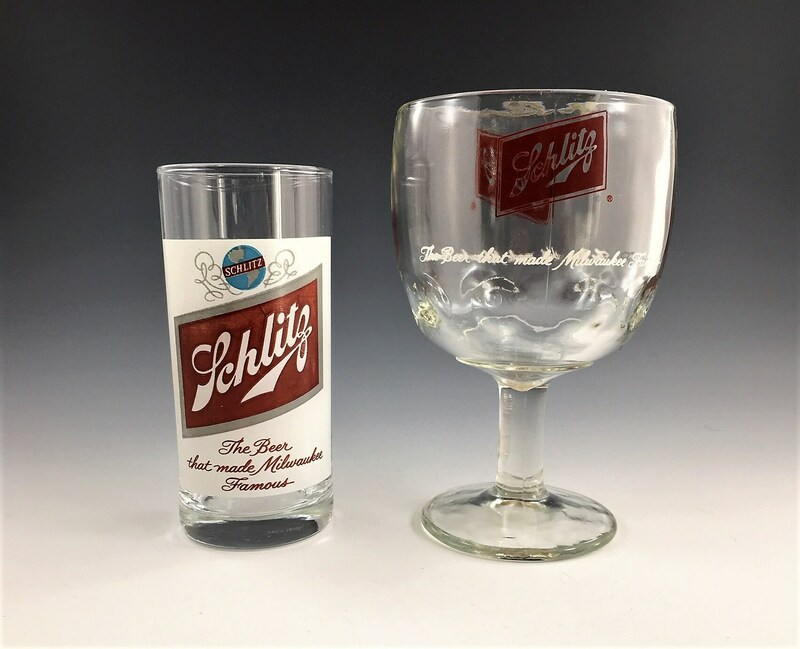 Featured is a nice pair of vintage Schlitz beer glasses. 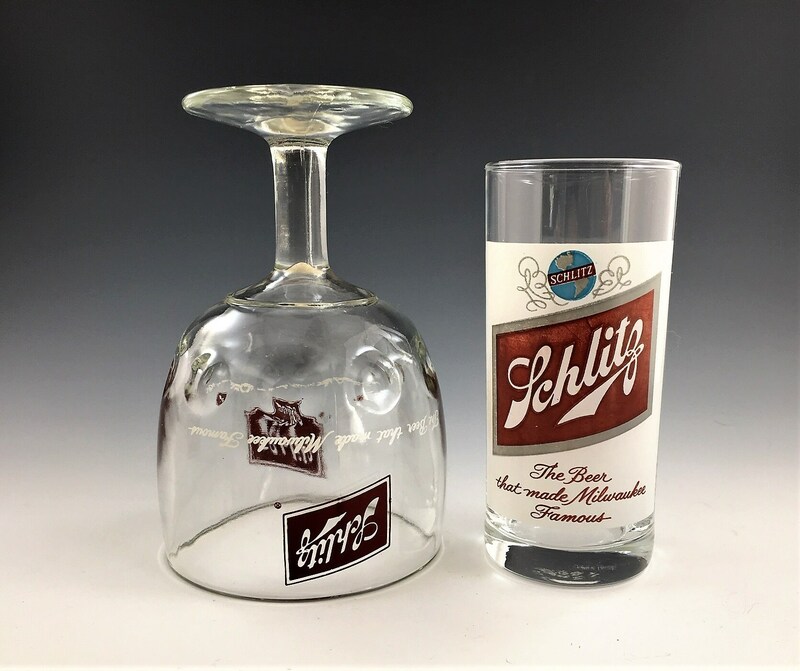 Relive your glory days while sipping a cold one from either (or both) of these sweet pieces. The tumbler is about 5 1/4 inches tall and the big goblet is 6 inches tall. Both sport the classic logo and the tag line, "The Beer That Made Milwaukee Famous." 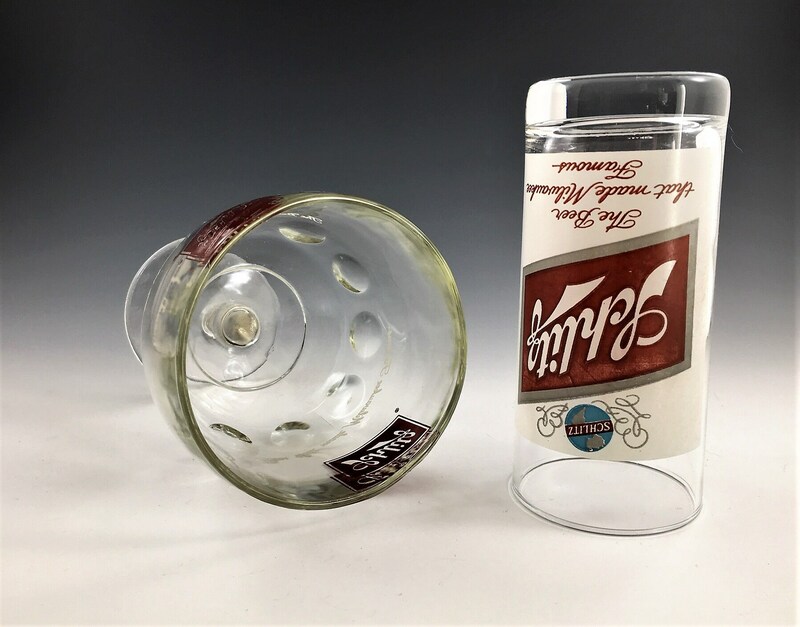 Both glasses are in excellent condition, free from any chips or cracks. Both pieces for one low price.